Welcome to Day 6 of the 12 Days of Holiday Inspiration Blog Event brought to you by "The Inspiration Crew". I focused on the colours, using a black Winnie & Walter sentiment on craft, a green (Mossy Meadow) die cut (Stampin' Up stamp and die) with dimension (created by white enamel accents), and a big white polka dot on on red. Here's a list of all the crafty ladies participating in this event. Be sure to visit all the blogs each day for loads of fun Holiday craft ideas. The tree reminds me of a Christmas sugar cookie! Ardyth, this is pure magic how you simplify elements! Well, that pretty much says everything that needs to be said! Perfect. So perfect, Ardyth! Love the white dots on your tree! Another great mix of colors, shapes and wee white dots (that look good enough to pick off the tree and eat)! The circle-square combo rocks! 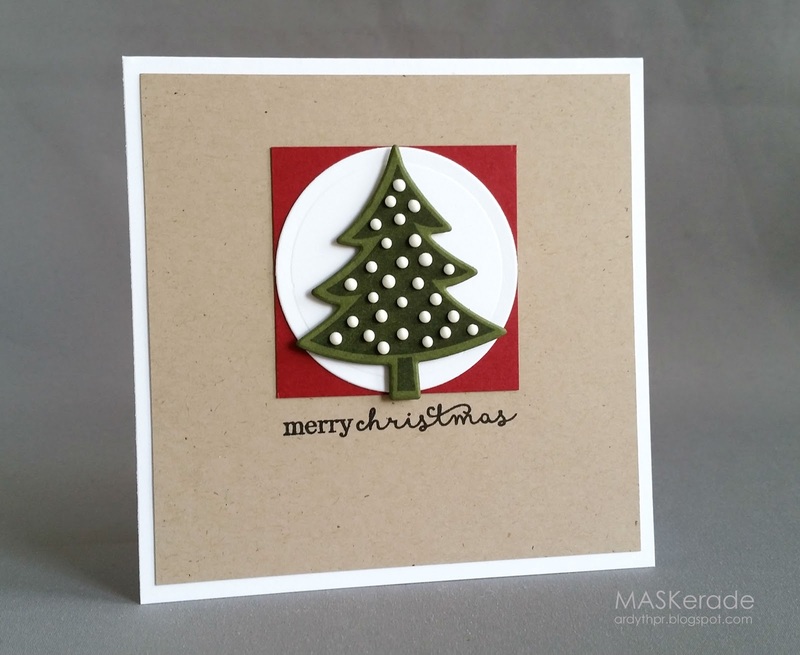 I love the whimsical tree die - . SU? Will be calling my SU lady today! Very cute. I like the use of white enamel accents. Awww... what a sweet little card! Gorgeous work. Great card - love the texture and dimension given by the enamel accents. These are some of my favorite colors to use at Christmas time :) I love the snowy tree and the simple sentiment! Awesome mix with the Kraft, green and red! Gorgeous Ardyth! i love the tree, such an awesome focal point! Cute - I love the pop of the enamel dots. This is a nice take on Vicki's card. Sweet sweet card....love that adorable little tree.